Free Sofia Tour didn’t invent the wheel. 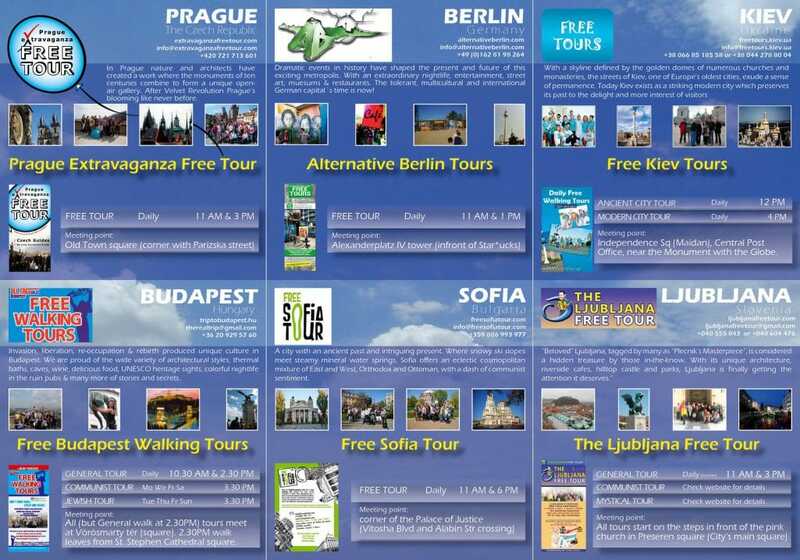 We present you – United Europe Free Tours. In other words – if you are travelling to Barcelona, Berlin, Bratislava, Bucharest, Budapest, Ceski Krumolov, Lisbon, Ljubjana , London, Madrid, Prague or San Sebastian make sure you don’t miss the tours organized by our great friends there. A click on the name of the city in the text would send you to their websites for more information. These are the best free tours in terms of quality and entertainment. Just look at their testimonials and rankings on TripAdvisor provided by the users that already had the pleasure of joining any of the United Europe Free Tours. No booking is required. Just show up at their meeting spots with a smile. 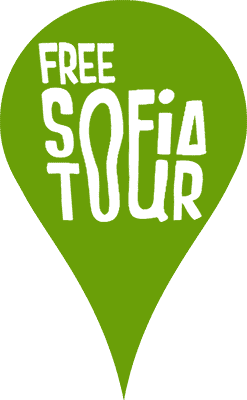 Did you know that there are free tours in lots of cities in the world beside the Sofia free tour? A lot of people who join our tour like the idea so much that they decide to make something like that in their home cities. So don’t be surprised if you soon see a free tour in Turin (Italy), Beirut (Lebanon) or Oaxaca (Mexico) apart from the tours already operating below. Yes, the free walking tours are great idea. I have taken part in few. However, you should specify that these tours, rather than free are by donation. The minimum amount of donation is sometimes stated, as was the case of a Cusco tour I took. The guide made it clear that we should donate 10 pesos or more each. There are nice way to meet other people and walk in a group, the quality of the tour vary depending on the guide and sometimes on the business sponsorship, I guess. Again, the tour in Cusco took us to visit some bars and clubs – not really of high interest to me, I would have prefer to learn more history and cultural background, but than again, these are ‘free’. Hope to try few more to have a more complete experience of them. Our St Petersburg Feel Free Tour (http://www.feelfreetour.net/) is missing in this list. 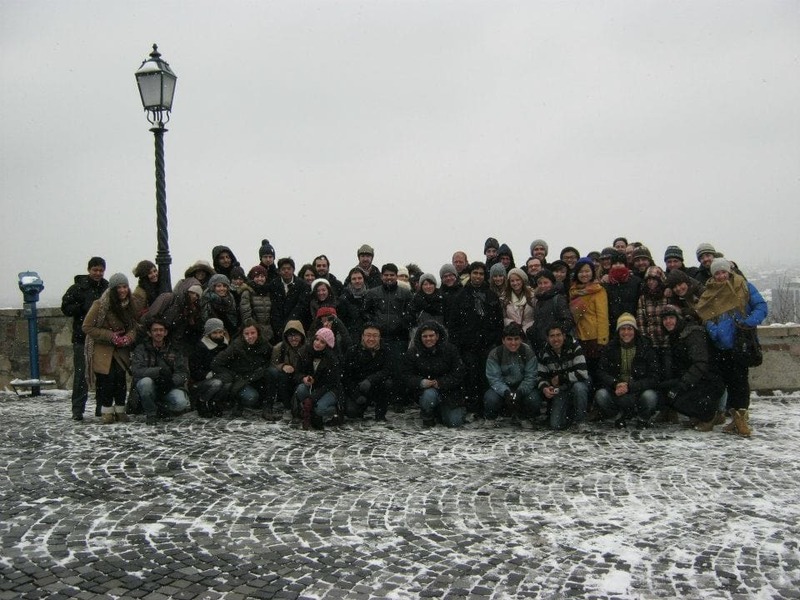 We do everyday free walking tours in Saint-Petersburg, Russia. if you let the cream “go bad”, you can make cultured butter with it. cream can sit in the fridge for a few weeks, even, before you get around to making the butter! extra delicious, extra nutritious. i like to add fresh herbs from the garden and salt the butter; then all i need to do it toss a veggie or an egg into the butter and a dish is all set! Hey there, is the Istanbul Free Tour still available? As far as we know, there’s no working free tour in Istanbul, I am sorry. Can you help confirm if this free tour is operating and has someone go with them before? Hi, How can I join your list of cities with free walking tours. Eugenia, your tour is on the list, isn’t it? If not, write to boyko@freesofiatour.com please. Hi Boyko, I will send you an email today. No my tour is not on the list. Mind The Gap Tours offer some great tours although they are not free, but very reasonable. Their trip advisory reviews are brilliant, not one negative. Hi There, How can I add my free walking tour in Amsterdam. Its a different company than the New Amsterdam walking tours, I’m The Oranje Umbrella Company!! Hi Guys! We would like to be in your list! Can you add tours4tips.com for both our tours in Santiago, chile and also in Valparaiso, Chile? New free tours in Hamburg, Germany. Be sure not to miss if visiting Hamburg. Please can you add us to your list of walking tours, we are not the one you have listed. can you please add Hamburg Free Walking Tours to your list? 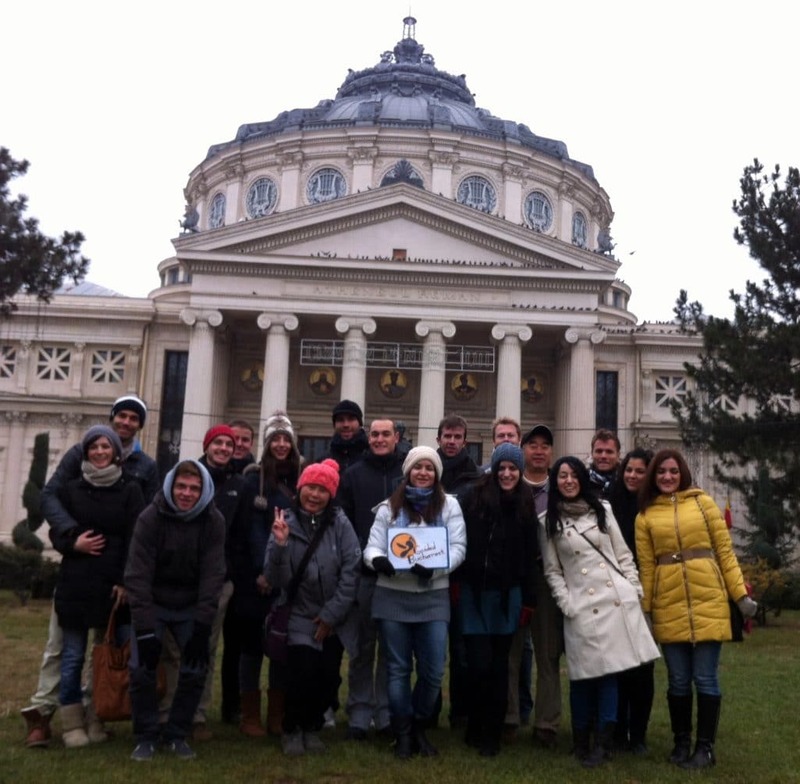 We offer two free tours here in the beautiful city in both English and German. One at 11 am of the historic city center and on at 2 pm of the harbor and st.Pauli district. We are rated number 1 now on trip advisor here in Hamburg and would be very appreciative if you would add us to your list. Of course, we welcome you to visit our website at http://www.hamburgfreewalkingtours.de or contact us personally to help us get us on your website. Would love add to the list Auckland’s newest free walking tour service http://www.greatauckland.co.nz. Hi Everyone! We are a young and independent Association, and we run free walking tours in Venice, Italy. Our tours are flexible, we have different routes and tours can be scheduled sending us a sms, FB message or e-mail. I really like your site and the idea of a free walking tour. Therefore I started my own free walking tour in Amsterdam. It is called free walking tours Amsterdam. Maybe you would like to add this page in your list of free walking tours! Thank you in advance! Hola, os dejo aqui nuestra web de tours en español gratis. Free tour en español en París, Tour gratis en Londres y tour gratis en Berlin a diario todas las ciudades. Can you please add it to your website? New Milan Free Tour is not working anymore, please take off! We arrange day tour from Marrakech to High Atlas mountains. Would love add to the list “morocco walks” free walking tour service. My name is Hans. We organize free walking tours in Amsterdam. Is it possible for us to be added to your list? Visit the beautiful city of Bethlehem where Jesus was born with the most significant historical and Religious sites in Bethlehem: the Nativity Church, the Manger Square, Bethlehem University, the Refugee camps, the separation wall, the Old City and a stunning panoramic view of Bethlehem. •	Meeting point in front of Bonjour Restaurant near Bethlehem University. •	Every Monday & Thursday at 11:00 AM (You may request tours on other days as well). •	Tour duration up to 2 hours. •	Min. 5 people – Max. 20. •	We also offer *private tours with professional tour guides in Israel and the West Bank :Jerusalem,Bethlehem,Hebron,Jericho, etc. •	We can arrange transportation from any point to Bethlehem. Of course it is, but tips are welcome. How to get to Bethlehem (Meeting point)? The best way to travel from Jerusalem to Bethlehem is by Bus No. 231. you should go to the Arab Bus Station at the Damascus Gate (“Bab el-‘Amoud”) in East Jerusalem. This bus travels to Bethlehem via Beit Jala. The average trip length is 40 minutes and costs 7 Shekels (2USD). The bus will drop you off at the Bethlehem / Beit Jala intersection (“Bab el-Zkak”), which is near Jordan Bank. ( 2 minutes walking to the meeting point ) Please contact us to get the map. Yes it is. Bethlehem is a peaceful city , over 2 millions visitors visit Bethlehem every year. YOUR LINK FOR BANGKOK LEADS TO A CHINESE ELECTRONICS SALE SITE. PLEASE PROVIDE CORRECT LINK. THX. we would like to introduce to you Free City Tour Kathmandu the first Free walking Tour in Kathmandu! We would be honored if you would put us in your great list! Rembrandt free walking tour is everyday at 1pm at the Nieuwmarkt. The tour tells you everything about this great artist. I saw “Tbilisi Free tour” in the list, which one anymore not operate.